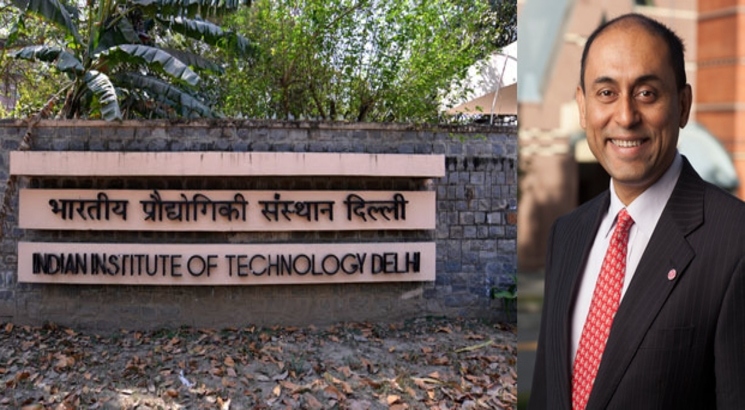 NEW DELHI, NOVEMBER 20: An MoU was recently signed between IIT Delhi and Prof Soumitra Dutta and Dr Lourdes Casanova for the constitution of “The Soumitra Dutta Chair in Artificial Intelligence” at IIT Delhi. The two academicians have pledged a support of Rs 1 crore for the purpose. The Chair has been named after Prof Soumitra Dutta who is a distinguished alumnus of IIT Delhi. He is best known for being the architect (and main editor) of the Global Innovation Index, which now has become the global standard among innovation indices (co-published with Intellectual Property Organization-WIPO) and is referenced by many global leaders including Prime Minister Narendra Modi. The MoU is envisaged to promote excellence and leadership in teaching, research and development in the field of Artificial Intelligence, and to facilitate wider and deeper interaction between the industry in general and the donor, in particular. Prof Soumitra Dutta said, “I am very grateful to the faculty of IIT Delhi for the valuable education they provided to me and I am glad to contribute to the future academic excellence of IIT Delhi.” Prof Dutta is the Founding Dean of Cornell SC Johnson College of Business at Cornell University, New York, and is an authority on the impact of new technology on the business world with a special focus on strategies for driving growth and innovation in the digital economy. Prof V. Ramgopal Rao, Director, IIT Delhi said, “IIT Delhi has an excellent relationship with its alumni and values this relationship. Institute is thankful to our distinguished alumnus Prof Soumitra Dutta & Dr Lourdes Casanova for instituting this chair position at IIT Delhi”. “In the form of such contributions, the Institute aims to obtain support for Scholarships, Student/Faculty Fellowships/Awards, Chair Professorships, Infrastructural development, Endowment funds and for any other cause that might further its pursuit of excellence. These contributions give an opportunity to the alumni to re-engage with their alma mater. They had been a part of the Institute many years ago as students and now they are contributing to the growth of the Institute,” said Prof Sanjeev Sanghi, Dean, Alumni Affairs & International Programmes. IIT Delhi is an Institute of “National Importance” and also declared an Institute of Eminence by the Government of India. It has consistently been in the top 200 in the QS World University Rankings.It has been making conscious and deliberate efforts to ease its dependence upon the Government for financial support.